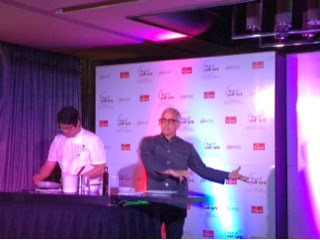 Cignal Digital TV, the Philippine's pioneer DTH satellite provider recently made history by bringing one of the greatest culinary icons--the Next Iron Chef Season 4 winner Chef Geoffrey Zakarian to the Philippine shores and whipped up a one-of-a-kind five course meal for the most discriminating foodies. 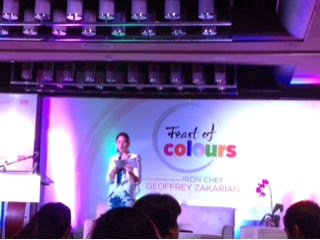 The dinner gala was held at the Sofitel Philippine Plaza dubbed as "Feast of Colours". Feast of Colours was truly an unforgettable evening as diners were treated to live music performances by Broadway and West End veterans Isay Alvarez and Robert Sena along with the Philippine Philharmonic Orchestra. Proceeds of the said event went to the Philippine Disaster Recovery Foundation (PDRF), the country's first permanent, year round private sector vehicle for disaster management. The Philippine Disaster Recovery Foundation (PDRF) is the country’s primary private sector vehicle for disaster management. After the devastation brought about by typhoons Fengshen (2008), Ketsana, and Parma (both 2009), the Office of the President issued Executive Order No. 838 on October 22, 2009, creating the Special National Public Reconstruction Commission to spearhead, implement and adopt urgent and effective measures to bring about the reconstruction of affected areas in the country and to address the needs of the affected population. The Public Commission was mandated to tap the resources of the private sector for the reconstruction efforts to address the continuing emergency brought about by the recent calamities. To work with the Public Commission, the leaders of some of the country’s largest private corporations and leading NGOs organized PDRF. On October 23, 2009, a cooperation agreement was drawn up between the Public Commission and PDRF to tap the resources of the private sector and to enhance and facilitate the cooperation and coordination between the Philippine Government and the private sector in formulating a reconstruction strategy that can be implemented. During its initial years of operation, PDRF principally focused on activities directed towards rehabilitation of disaster-stricken areas. Ongoing recovery programs are primarily focused on the hardest-hit areas of the Super Typhoon Haiyan (local name: Yolanda) earthquake in Bohol and Cebu, and the unrest in Zamboanga. These areas are in Northern Cebu, Northern Negros, Northern Panay, Leyte/Tacloban, Samar, Palawan/Busuanga, Bohol, Zamboanga City. Disaster management activities are centered on preparedness, relief, recovery and reconstruction. 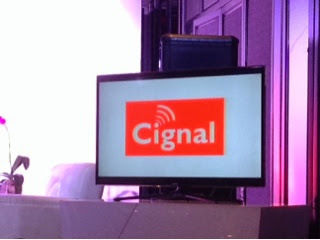 During the press preview of the said event, Cignal Digital TV's Chief Operating Officer and Managing Director, Ms, Annie Naval revealed that there have actually been plans on bringing the Next Iron Chef Season 4 in the country last year but it did not materialized because of the devastating disasters that has happened in the country including the typhoon Yolanda (Haiyan). They felt the country wasn't ready yet for an exciting event as the Next Iron Chef so they scratched off the plans and flew in its winner Chef Geoffrey Zakarian this year instead with the aim to help more people in need. Colours is Cignal TV's lifestyle channel with visions of celebrating life and loving life. There's no other way to celebrate life than enjoying good food. It is an integral part in every celebration. 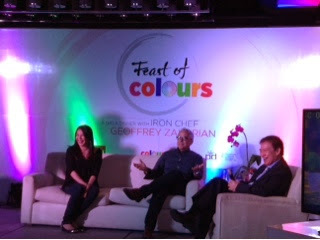 Among the many celebrity chefs who appear on Colours' many cooking shows, The Next Iron Chef Season 4 winner Chef Geoffrey Zakarian was their unanimous choice. After all, winning the title of the Next Iron Chef is synonymous to having a crown that gives one bragging rights in the culinary world. After winning the title, Chef Geoffrey Zakarian took in fellow Next Iron Chef winner and fellow celebrity Chef Alex Guarnaschelli as his sous chef on Iron Chef America. Thus, making Zakarian as the only Next Iron Chef winner to mentor another Next Iron Chef winner. 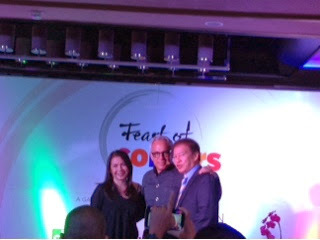 Manila's elite crowd enjoyed a delectation when they came to Feast of Colours and indulged in Chef Geoffrey Zakarian's cuisine, where he put on a cooking demo of all the food that was served. With the fusion of East and West as its theme, the main course was the quintessentially Filipino dish of all, Adobo. 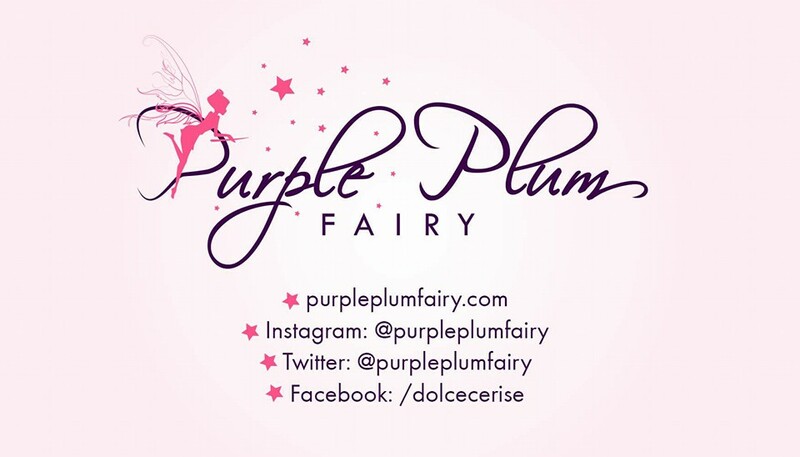 "I really had a good sampling of Filipino food especially Adobo--your food was very eye opening. 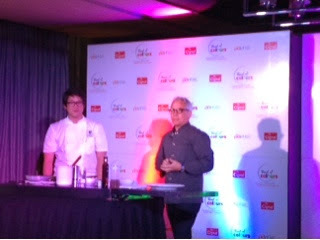 My two kids were raised in adobo because of our Filipino nanny of six years who'd cook that dish for my family," Chef Geoffrey Zakarian revealed during the press preview. "I also had a lot of Filipinos working for my restaurants and I love to make use of vinegar, garlic, onions, and bay leaf on foods, so Adobo isn't exactly new to me." During the press preview, we were lucky because we had the chance to taste and sample Chef Geoffrey Zakarian's take on the Filipino dish adobo but with a twist. He incorporated all the flavors in his Adobo Spiced Pork belly--using the most unique ingredients put together in one sumptuous dish: endive, pickled mango and calamansi lime (Philippine Lemon). The result? 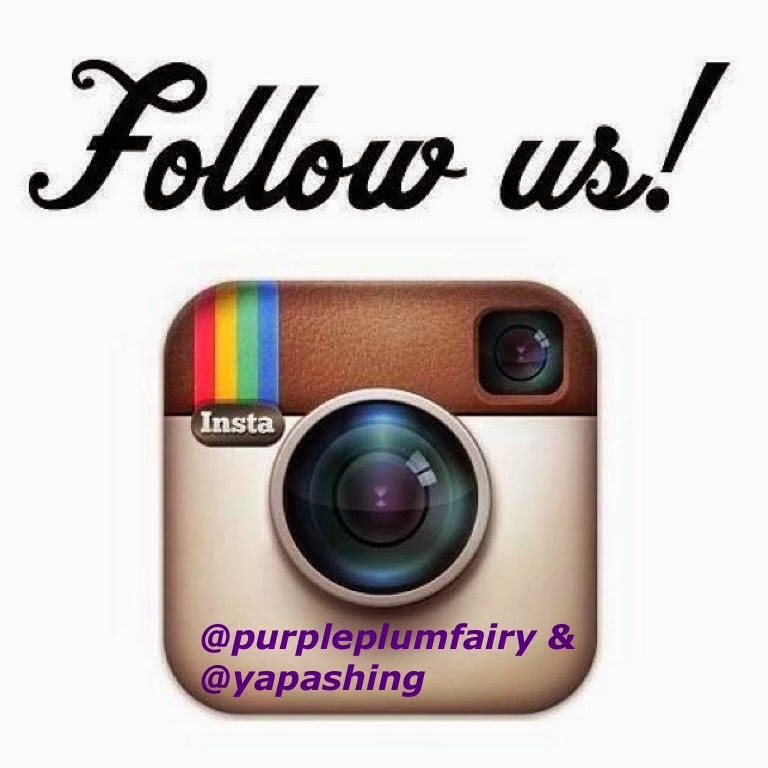 It's totally fantastic! 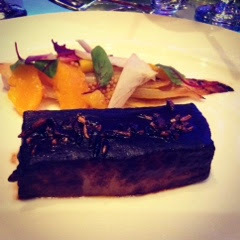 Chef Zakarian's Adobo Spiced Pork Belly was like a circus in your palate. Its got some sweet, spicy kick, somewhat bitter, you'll taste some sourness and salty at the same time and some umami flavor somewhere too. But surprisingly, the burst of flavors all come together to create that east meets west concept or theme of the Feast of Colours. The pork belly was succulent and fork tender, it almost melts in the mouth. Chef Zakarian says it's simply because it's been cooked for 18 hours and basted to perfection. to create a restaurant in Manila someday. The people and the culture, the family structure here are enough to make me invest. All these are truly remarkable...for Filipinos." Zakarian also said that in his two-days stay in the country, he's enjoyed eating Lechon (roasted pig), sigarilyas (winged bean), bangus (milkfish), beef tapa and tocino. But he's partial to ulang (fresh water shrimp/prawn), sigarilyas and star apple. During the Q and A of the press preview, a member of the media asked what dish does Zakarian think is hardest to cook? "That's quite a difficult question. As a chef, give me ingredients and I'd be able to whip out and make something out of it. Of course, it may not be perfect but good enough at least. But I'd like to explore Vietnamese and Japanese foods," Zakarian said. And here's a little trivia: Zakarian often gets asked on what he cooks at home for his family. To which he says, "I cook whatever I feel like. Everyday is different, it all depends on my mood. One more thing, I don't cook at home, only on weekends and for my kids alone." Chef Geoffrey Zakarian was such a real trouper as he personally signed around 700 pieces of his hardbound coffee table cookbooks. He also agreed to be photographed without any qualms nor complains about it.